Seated amidst the closet contents I’d spilled onto the floor, I came upon buried treasure. In a box of VHS tapes, I found the Reiki tv news story about my training program at Gay Mens Health Crisis (GMHC) from the 1990s. I took a long trip down Memory Lane to the AIDS epidemic before protease inhibitors. At that time, doctors could treat opportunistic infections, but had nothing to address the disease directly. GMHC clients faced a terrifying diagnosis and lived with a lot of pain and disability. Still, they reported functioning better and feeling less pain and anxiety when they practiced daily self Reiki consistently. What I learned in the GMHC classes and Reiki reunions was invaluable. I saw Reiki practice help people who were still relatively healthy as well as those who were already quite ill.
We weren’t curing AIDS but we were definitely relieving suffering. The GMHC students told their doctors how Reiki self practice was helping them. Doctors noticed the patients who practiced self Reiki doing “better than expected,” as one doctor I later trained put it. When I met the department staff at Beth Israel Medical Center to discuss what would become the first in-hospital Reiki program, our GMHC track record showed them that institutional Reiki training was feasible and supported their work. I’d been practicing Reiki for about ten years when CBS approached me about the Reiki tv news story. That network news feature was my first chance to present Reiki to the mainstream public in a healthcare context. 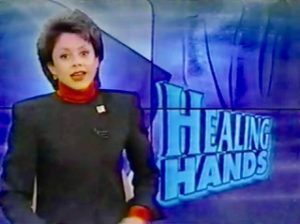 Now, decades later, I have to admit I watched the Reiki tv news with some trepidation. I reminded myself that I didn’t write the reporter’s script. I had no editorial control. Still, I winced a little while watching. When I heard “ancient,” for example. Misinformation about Reiki was plentiful even in the 90s. The journalists did their homework by googling Reiki but had no yardstick to evaluate the information they found. As I watched the clip, I was surprised to see myself discussing Reiki practice basically the same way I do now. My experience at GMHC laid the foundation of how I currently present Reiki. And I saw two differences between then and now. One is that I now know details of the self-healing response to Reiki practice. How Does Reiki Help shares those details. Knowing the details will help you (and your clients) appreciate how practical Reiki practice is. 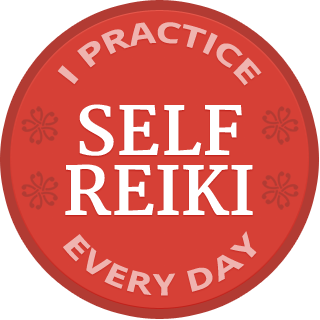 As subtle as it is, Reiki practice leads to measurable improvements. The other difference is the steady confidence I now have. That confidence comes from decades of contemplated Reiki practice. Practice, practice, practice. I learn through daily self practice, through practicing with clients and teaching in a wide range of settings, and through presenting Reiki to medicine and the media. Practicing in each of those settings, and looking at what went well and what I could have done better, improves my presentation skills. It also strengthens my conviction that our spiritual practice relieves suffering, uplifts lives, and more often than not, improves health. That conviction drives me to bring Reiki practice to the mainstream public and health care. Do you share that drive? 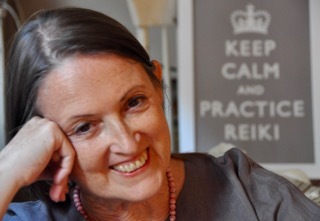 Please watch the Reiki tv news here and share your comments. Are you a Reiki professional striving to offer the public a credible, thoughtful approach to Reiki practice? If so, act now to save 40% on any or all Reiki Professional Academy recorded trainings in our weeklong Gratitude Sale. Oh my, this video was emotionally moving. I had forgotten how powerful even just the act of putting hands on AIDS patients was, given the social panic at the time. And this was years, more than a decade at least, before I learned Reiki myself.